Weekend, full-day and half-day retreats and workshops. Whether you want to learn more, relax or simply socialise with friends and like minded people, our workshops and retreats can add extra depth and understanding to your practice. Spending extended time in practice is the perfect way to unwind and remove yourself from everyday stresses. Suitable for all levels of experience, you will benefit from extending your practice time, allowing the body and mind to find a greater peace, strength and stillness. Places for workshops & retreats are limited. Please book early. Rest, renew and restore with this therapeutic style of yoga. The use of props support the body and allows for complete and total relaxation. Typically, poses are held for up to 10 minutes. To enhance the whole experience, Himalayan singing bowls are used to create vibrations and resonance that positively impact the physical, emotional, mental and spiritual state. Sessions are (normally) held 7.00-9.00pm on the last Sunday of the month. Please refer to our FB page for changes. Last years Winter retreat was FULLY BOOKED. A full weekend of yoga, Pilates and gong sound healing, with over 9 hours of available sessions to chose from. Bookings are already being taken for this years retreat – 8th, 9th and 10th November 2018. 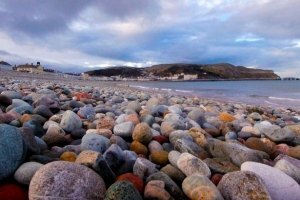 Following the success of our previous retreats, we will return to the lovely seaside town of Llandudno. Lots of yoga, lots of Pilates, lots of walking, lots of relaxation, lots of tea, (possibly some gin! ), lots of glorious food and lots of time with really fun friends. All classes, food, snacks and accommodation included.